WIDE: 17", DEEP: 11", HIGH: 56"
This beautiful art is hand carved form natural Southern Jade. 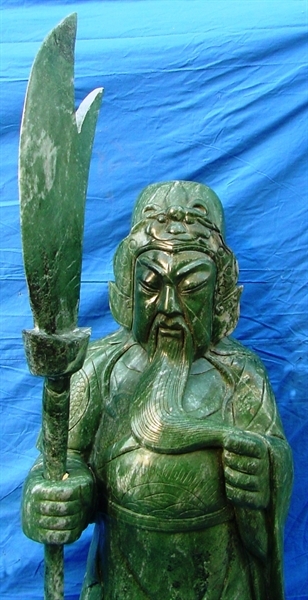 One solid piece, It is the General Kwan "Kwan Gong". A famous ancient soldier.